Jack Grealish has spoken out after Aston Villa's 1-0 defeat to Fulham in the Championship play-off final on Saturday. Tom Cairney's strike was the difference between the two sides as the Whites guaranteed their passage back to the top flight of English football at the expense of Villa. Grealish once again proved why he's one of the best young talents in England with his dazzling runs, one of which almost resulted in a world-class goal but Marcus Bettinelli kept him at bay. "Devastated as much as you guys are. We live and we learn." A major talking point in the hotly contested game was when Ryan Fredericks appeared to have stamped on the Villa midfielder which left fans and Steve Bruce incensed. The 22-year-old has been heavily linked with a move away from Villa Park with numerous Premier League clubs said to be interested in the youngster. However, Villa manager Steve Bruce has urged Grealish to stay stating via Express and Star : "Of course there's going to be speculation over Jack. "Me personally, I would like him to stay. I think another year with us would do him the world of good. "That's my personal view. He's been playing regular football week in, week out, we'll see what happens." 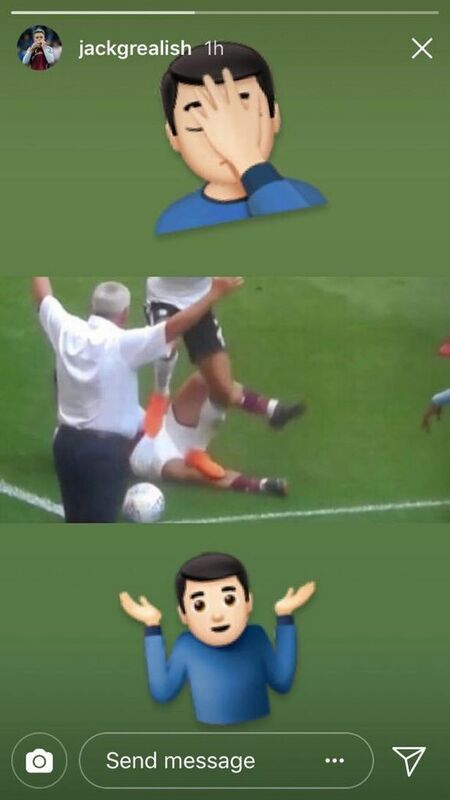 Bruce also spoke about the stamp on Grealish, revealing: "The boy for me should have had a red card very early. That was right in front of the fourth official and the referee. "For me, he stamps on him. Nobody wants to see spectacles ruined but you need big decisions like that."